To portray the story of Cape Town’s Mount Nelson Hotel, Eric Bolsmann has traced the origin and development of the cultural heritage of this internationally acclaimed institution from the time the property today known as the Mount Nelson estate was granted as a Cape Freehold in 1743. The background and achievements of the various personalities who owned the estate below Table Mountain is regarded by the author as being of equal importance as the hotel itself for without the human endeavour of these people, the hotel would probably never have been built. The development of the hotel industry at the Cape is described in detail as this history is a vital factor leading to the building of the Mount Nelson Hotel on land named after the hero of Trafalgar in 1805. The opening of the hotel, on 1 March 1899, initiated by fierce competition of the Union and Castle shipping lines, and the growth of the stately bulding synonymous of the British colonial era in an unrivalled setting of scenic beauty, concludes the story of one of the very few great hotels of its kind. Having worked in a managemet position at the hotel during 1970s, much of the author’s account is based on his personal experiences at the “Nellie”, as the stately institution is known with much affections by its regular guests and employees alike. 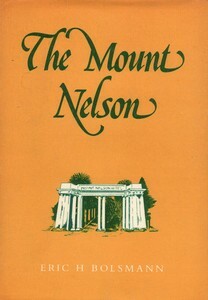 The Mount?Nelson was published by HAUM Publishers in?Pretoria as a hard-cover, 120 page illustrated edition in 1978. The book is a rare collector’s items.